When it comes to your credit score, it can often be a mystery to why you may have a low score. Luckily, there are plenty of ways to increase a bad credit score even if you can’t pinpoint why it is low or feel like you do not have the means to increase it. 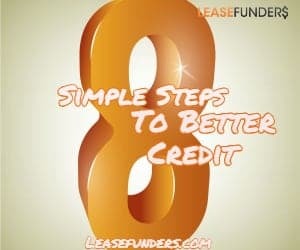 Follow these 8 simple steps to get your score back on track, especially if you are in need of bad credit business financing. Every time you apply a new line of credit, it negatively affects your score. 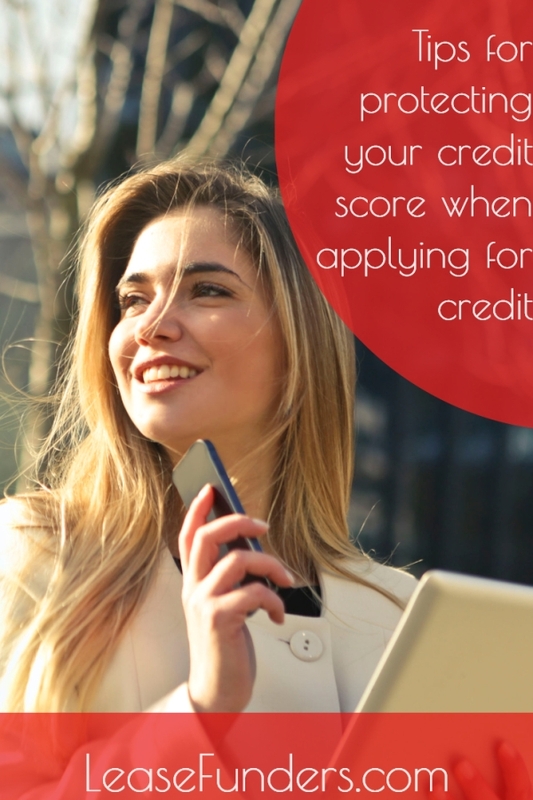 Too many of our clients come to us and tell us of how they started looking for their business financing with a 650 score but after a few days of applying with different lenders, their score is now around a 610. Just by indiscriminately applying for small business financing took them from “fair” credit to poor, bordering on bad. 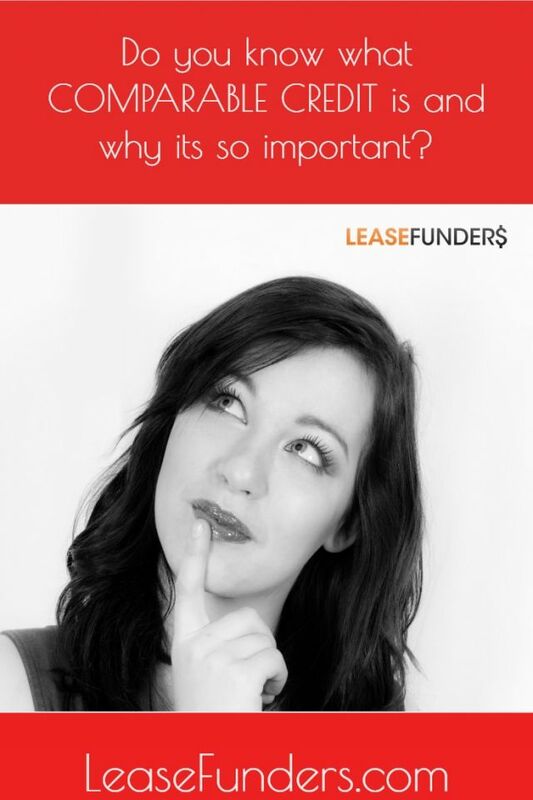 Yes, we still got them financing, but we could have approved them with better rates and terms if they had been more careful of where they applied. If you have credit problems – make sure the lender can work with someone with your credit score and the reasons behind your low credit score. Again we see too many clients come to us after applying to numerous “bad credit lenders” and being turned down. 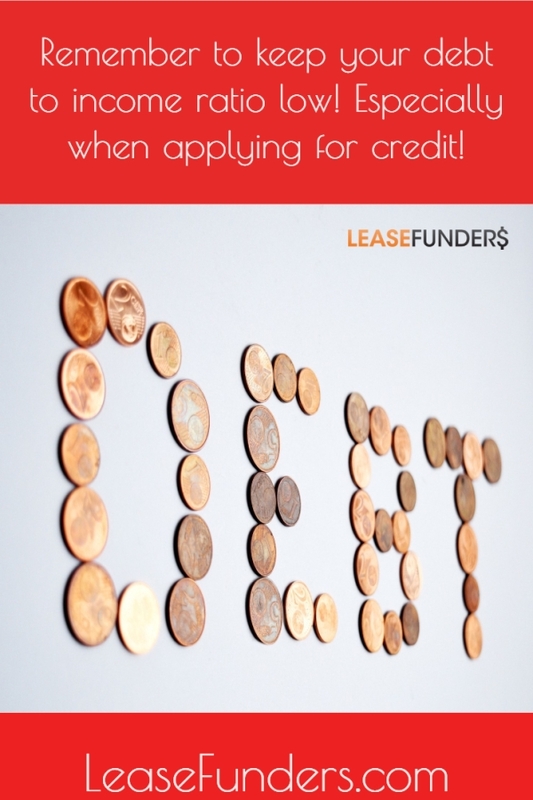 They could have saved themselves a lot of trouble by talking with the lenders before applying. 35% of your score comes from how you pay your bills. If you are a habitual late payer, your credit score is suffering. Use your checking accounts bill pay feature. Even if you are only making the minimum payment, you want to make sure its getting to your creditors on time. Start to monitor your credit. Identity theft has become easy. A credit monitoring service like Lifelock has become essential in today’s society. You don’t want to find out too late that someone is using your credit and leaving behind a huge mess for you to clean up! 3. You need credit cards and loans to have a credit score. 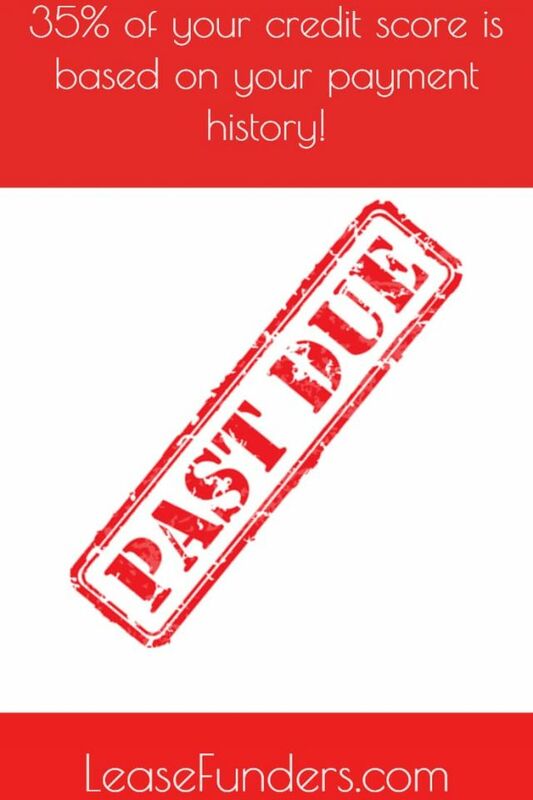 We see this a lot with our clients with previous bankruptcies. They are a bit “gun shy” to open any new accounts. But that’s a big mistake. You don’t want a lender to pull your credit and see nothing but negative tradelines. You want to open new lines of credit to show that you can now handle your credit and you’re making all your monthly payments on time. 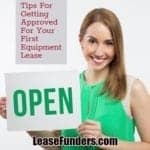 With our startup business and bad credit business owners we encourage them to use their new equipment lease to build credit for their BUSINESS. 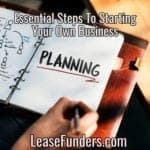 An equipment lease can’t be used to help rebuild PERSONAL credit, but its a great tool to use to build business credit! 4. 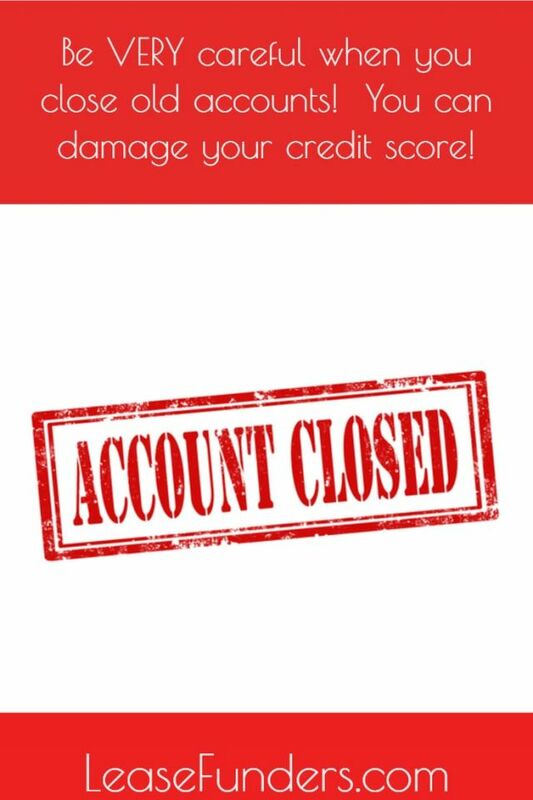 Be careful with closing credit card accounts. When you close your account, it doesn’t make the negative tradeline disappear. And it can actually HURT your credit score if you are closing your oldest accounts or the accounts with large credit lines. Remember age does makeup 10% of your credit score. And 30% of your credit score is how much credit you are using. So choose which cards you close wisely! 5. Use a secured credit card or secured loan to build credit. Secured credit cards and secured business loans are great ways to not just get financing but to build credit. Especially if you have credit problems. Since they are secured by money or some sort of collateral, a low credit score or even a bankruptcy won’t cause it to be denied. 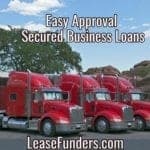 A popular program we have here at Leasefunders.com is a secured business loan that is secured by business equipment. This loan is used by our clients for everything from payroll and working capital to purchasing inventory even buying more equipment. 6. Diversify your tradelines and don’t forget about comparable credit! Banks like to see that you can handle different types of credit. So when you are in the “rebuilding” phase. 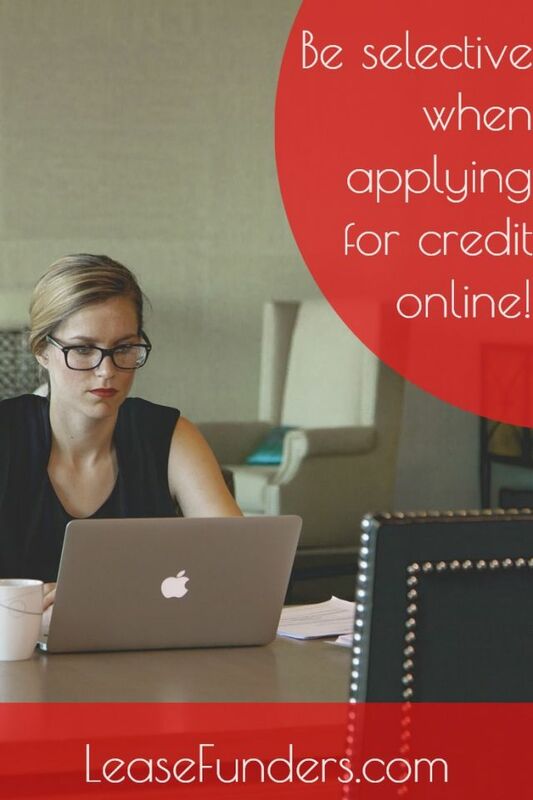 Don’t limit yourself to just applying for credit cards. When you NEED it. Think about diversifying your tradelines. 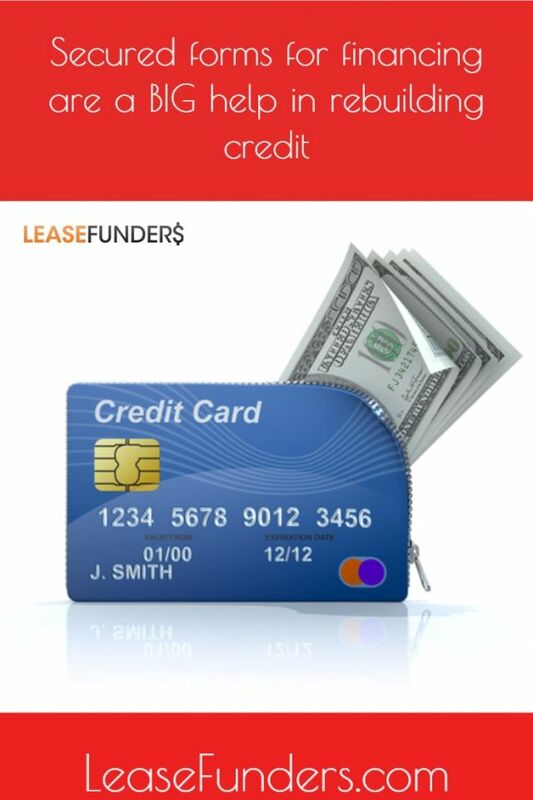 Credit cards, mortgage loans, installment loans, retail accounts, gas cards etc. And don’t overlook the importance of COMPARABLE CREDIT. This happens alot. We get a client with a credit score of 720 and they feel they are “golden” and ordinarily they are. 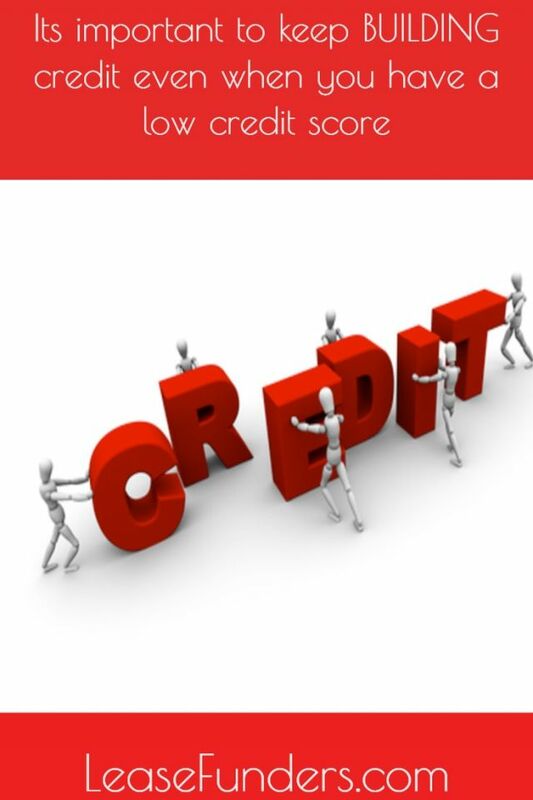 But when you look at their credit report they may have a few tradelines with credit limits of around $500 – $1000. They may also have a lot of “new credit” (tradelines less than a year old). This makes their credit file a bit too “thin”. When you are looking for a $25,000 equipment lease but the highest tradeline you have is a $500 credit card. Thats a big leap. The bank wants to make sure that you can handle a $25,000 lease. That’s why even with a 720 credit score the bank will ask for a co-signer with more credit experience. 7. Pay off your debt. This makes sense, but to explain in further detail, you need to create a plan to reduce your debt as you may be cutting into your credit utilization. The more you pay off, the more you have available, and the higher your credit score will be. 8. Use your credit card regularly..but wisely. Long gaps between using your card and barely using it at all will make creditors either close the account or reduce your credit limit. I still have a department credit card I got right out of high school that I use a few times a year to keep the account open just because the age of the account helps my credit score. Always keep in mind you want to build credit, not be in debt. So use your credit cards wisely and get in the habit of paying them off at the end of the month. Remember that increasing your credit score is a process that takes time. Follow these tips and a better score will be on the way! Watch the video on Improving Bad Credit! Wow. This post just relates to me at different points. Right now my score is getting bad and I never really thought that it would be as a result of the blind applications I’ve been doing. This has really opened my eyes. Thanks for stopping by! We see that a lot. Especially if a client is also looking for a car loan. Some of the car financing companies use a shotgun approach to financing. And apply to a lot of places all at the same time. Our clients are usually pretty shocked when I show them how many inquiries were generated and how it affected their score.